Hotel Admiral Budva 4**** is located in the very center of Budva, surrounded by a pleasant ambience and unique flora which represents a real oasis for enjoyment and relaxation. The hotel has a proven tradition of quality service, faithfully nurtured for 21 years. An outdoor swimming pool offers moments of complete comfort and enjoyment, with the possibility of consuming refreshing cocktails and drinks. The hotel has its own parking lot. The hotel is two minutes away from the Slovenska beach, in close proximity to markets, pharmacies, post office, cafés, and a Bus station. 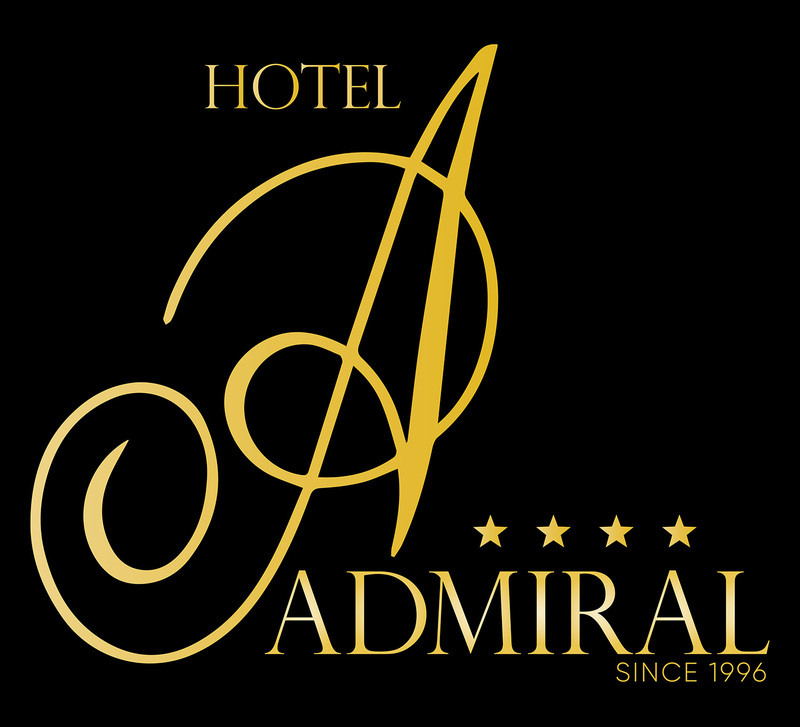 Within 30 newly renovated elegant and sophistic rooms, hotel Admiral offers you an unforgettable experience. All rooms are equipped with individually controlled air conditioning, digital and analogue phone lines, voice-mail, cable/satellite TV, high speed internet access free of charge, mini-bar, safe, hairdryer and a shower. In the immediate vicinity, within the same company, operates Restaurant “A Club”. Gastronomic wonders of national and international cuisines, along with treasury Wine, are the perfect motive for visit. “A Club”, a place of rich history and heritage, continues its story in a modern trend, accompanied by the taste and the scent of world trends that enrich your soul and body.